adidas Tabela 11 offers the style and comfort your team deserves. Built with ClimaLite, this kits lets your team move with comfort and coolness without extra weight. Your team will dig the classic adidas soccer style and you'll dig the performance. ClimaLite jersey for cool comfort during match time. Embroidered logo. Subtle stripe design at front. 100% polyester. Imported. Used by International Football Teams ONCE STOCK IS GONE - IT IS GONE! Used by International Football Teams ONCE STOCK IS GONE - IT IS GONE! adidas Tabela 11 offers the style and comfort your team deserves. Built with ClimaLite, this kits lets your team move with comfort and coolness without extra weight. 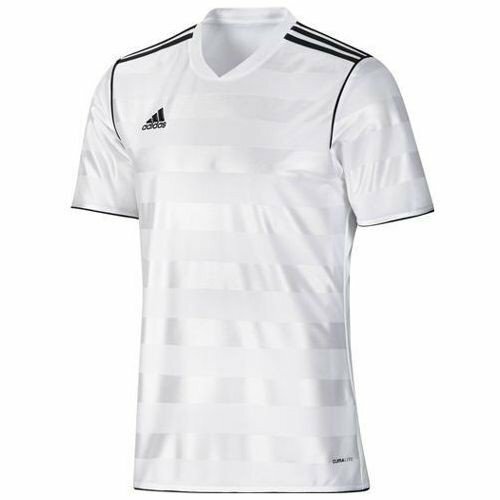 Your team will dig the classic adidas soccer style and you'll dig the performance. ClimaLite jersey for cool comfort during match time. Embroidered logo. Subtle stripe design at front. 100% polyester. Imported.